Cass County Sheriff's Office - Reserve Division operates under the direction of Sheriff Diehl, his Command Staff and a Reserve Captain. The Reserve Deputies are fully commissioned deputies, having completed law enforcement academy training and field training. Reserve Deputies are required to keep up their certification by completing the same additional law enforcement training requirements that are required for a full time Deputy. As fully commissioned law enforcement officers, Reserve Deputies are sworn to protect the life and property of the citizens of Cass County. The Sheriff or his Command Staff may call upon the Reserves' to perform duties and activities at any time and under any conditions. The Reserve Division provides and/or assists with a variety of law enforcement functions. The duties include uniformed road patrol, detention, prisoner transports to another jail or prison, watch a prisoner at a medical facility, civil process, investigations, bailiff duties and court security. They may be asked to work special assignments such as sporting events, parades, the county rodeo, fund raising events, special security and any other assigned duties. The Reserve Deputies will also be called up to assist during local emergencies, disasters such as tornadoes, floods and aircraft crashes. They may be asked to assist in any way possible by Homeland Security during a crisis or in extreme circumstances. 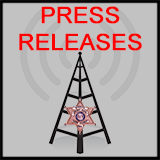 At this time, there are fourteen active Deputies including the Reserve Command Staff and the Reserve Captain. 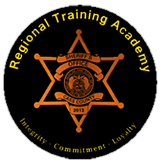 The Reserve Division includes retired Sheriff Deputies, retired law enforcement officers from Kansas City and other municipalities, individuals with law enforcement training that chose to work in other vocations, and self employed, law enforcement trained individuals. All Reserve Deputies are expected to serve with pride and integrity. They must comply with the rules and regulations of the Reserve Division and the Sheriff's Office. 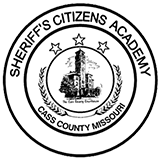 On behalf of the entire Cass County Sheriff's Reserve, we thank you for considering membership and service in our unit.